Julie A. Riess is the director of Wimpfheimer Nursery School and the executive director of the Infant Toddler Center at Vassar College. She is a lecturer in the education and psychology departments. Dr. Riess earned her A.B. from Vassar College. She completed her Ph.D. in Developmental Psychology at Brandeis University. Her teaching and research interests focus on various applications of developmental psychology and early childhood education theory and research. Prior to returning home to Vassar, Dr. Riess worked as the Research Director at Generations Together at the University of Pittsburgh, studying the impact of various intergenerational programs on youth and elders. As Project Coordinator of the Lead Exposure Study, she coordinated a study of the impact of early lead exposure on attentional functioning and later risk for antisocial behavior. As the director of Vassar’s early childhood laboratory school, Dr. Riess develops curricula and implements teacher training, parent support and research programs that reflect contemporary child development theory and research. Dr. Riess wrote a parenting column, The Early Years, for the Poughkeepsie Journal and Gannett News Services for fifteen years and is working toward publishing these columns into a book format. She teaches courses in early childhood education and developmental psychology, with a focus on applications in the early childhood classroom and building inclusive schools. 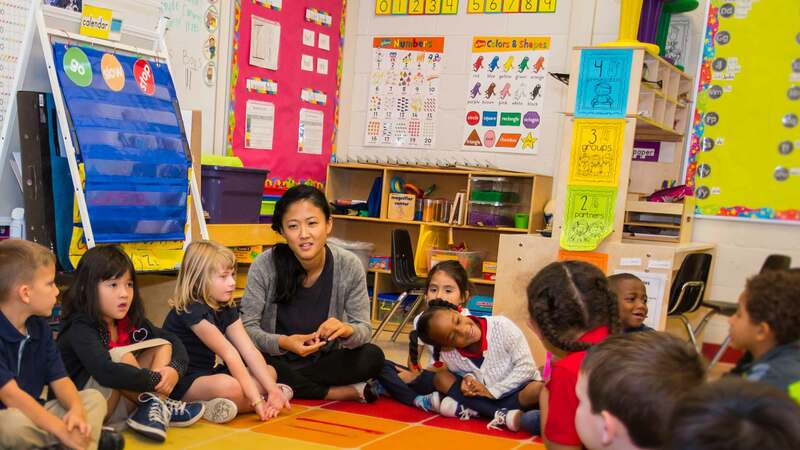 After she graduated in 2015, Eunice Roh moved to Oklahoma City to work for Teach for America. She says her first year as a kindergarten teacher was as rewarding as it was challenging.